Andrea Blackstone | 10/23/2015, 6:01 a.m.
EMBODI gives young men an opportunity to interact with positive role models in 2014. Many of this year’s scheduled activities will be held at the Roger Pip Moyer Community Recreation Center and the Wiley H. Bates Legacy Center. ANNAPOLIS, Md. 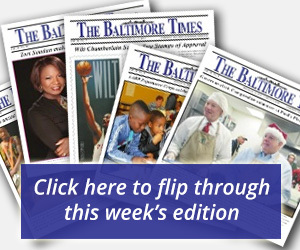  On October 24, 2015, the Annapolis Alumnae Chapter of Delta Sigma Theta Sorority, Inc., the Eta Eta Lambda Chapter of Alpha Phi Alpha Fraternity, Inc. and Men Aiming Higher (MAH) will kick off a free program called EMBODI (Empowering Males to Build Opportunities for Developing Independence) to help boys in Anne Arundel County. The program, geared toward boys ages eight to 18, offers tutoring, community service projects, career planning, college tours and many other activities on a monthly basis. EMBODI will end with a Young Men’s Conference in May of 2016. The Annapolis Alumnae Chapter of Delta Sigma Theta Sorority, Inc. has served the local community for over 67 years. Claudia A. Postell, president of the Annapolis Alumnae Chapter of Delta Sigma Theta Sorority, Inc. explained that approximately 75 young men are expected to participate. Postell has worked with EMBODI for about seven years. This year marks the Annapolis Alumnae Chapter of Delta Sigma Theta Sorority, Inc.’s third year partnering with the Eta Eta Lambda Chapter of Alpha Phi Alpha Fraternity, Inc. to extend EMBODI’s reach. Additionally, a new partner was added. “The kickoff on October 24 will be the first year that we have the additional partner, Men Aiming Higher. 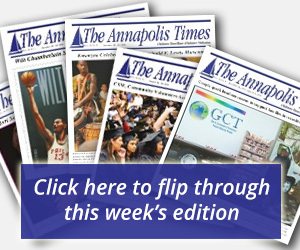 That is an opportunity to further our outreach and impact in Annapolis and surrounding communities,” Postell said. The Annapolis Alumnae Chapter of Delta Sigma Theta Sorority, Inc. has served the local community for over 67 years. Postell explained that EMBODI is a signature program that was designed under the leadership of Cynthia Butler-McIntyre— the 24th National President of Delta Sigma Theta Sorority, Inc. The Delta Academy focuses on supporting younger girls, while the Delta GEMS addresses of the needs of adolescent girls, but the plight of African American males had not officially been addressed before the creation of EMBODI. “There were so many issues that impacted young black males, so as a result of that, EMBODI was a program that she [Butler-McIntyre] devised and chapters have been implementing this program since 2008,” Postell said. Through EMBODI, the Annapolis Alumnae Chapter of Delta Sigma Theta Sorority, Inc. normally focuses on supporting boys ages 11-17. Through this year’s joint effort, boys as young as eight are invited to participate. In Postell’s opinion, a highlight of EMBODI is the college tours. Positive role models help boys to start thinking about their future plans. “A lot of young men are striving to make something out of their lives,” Postell said. Postell added that EMBODI is most successfully implemented when partnering with other male-based organizations. According to the Eta Eta Lambda Chapter of Alpha Phi Alpha Fraternity, Inc.’s website, the Alpha Academy Mentoring Program (AAMP) is designed to “build, develop and enhance young African males into become men of distinction.” In 2010, AAMP reportedly opened to boys in grades three to five. It evolved to reach greater audiences over the years. Last summer, Darius A. Stanton was involved in the launch of the MAH Annapolis chapter. MAH is a Prince George’s County based nonprofit supporting the development of at-risk young men, founded by Delegate Darryl Barnes. Stanton also kicked off the Annapolis Arts, Sports and Leadership Academy (AASALA), which is aimed at youth ages 8-14. He and other contributors are honoring their commitment to continue working with students who participated in AASALA. Stanton noted that partnering with other organizations through EMBODI is a way to reach additional children who need support and resources. Parents of boys who would like to inquire about the EMBODI program can email aayouthleadershipacademy@gmail.com.